The time that Mike Rosenthal spent consulting with major metropolitan restaurants, experimenting in his home kitchen, and globe trotting to explore different cultures all added up to a cool new take on an old favorite: ice cream. Rosenthal was convinced that the hours he’d logged at home and abroad had led him to a vegan version of the treat that could rival its traditional cream-based competitors. 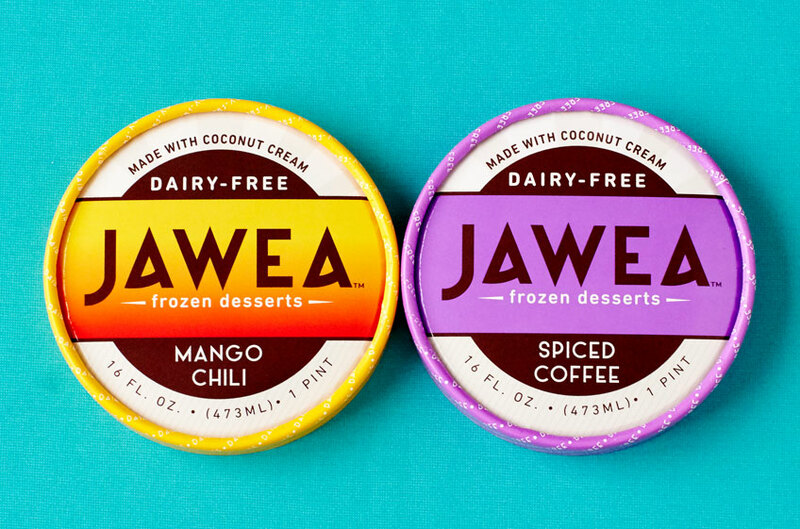 Pulp+Wire worked with Rosenthal to help wrap up success for his “Jawea” brand of frozen desserts. Traditionally-shaped ice-cream pint containers were selected to announce the brand’s intention to tackle their dairy-based competitors head-on. 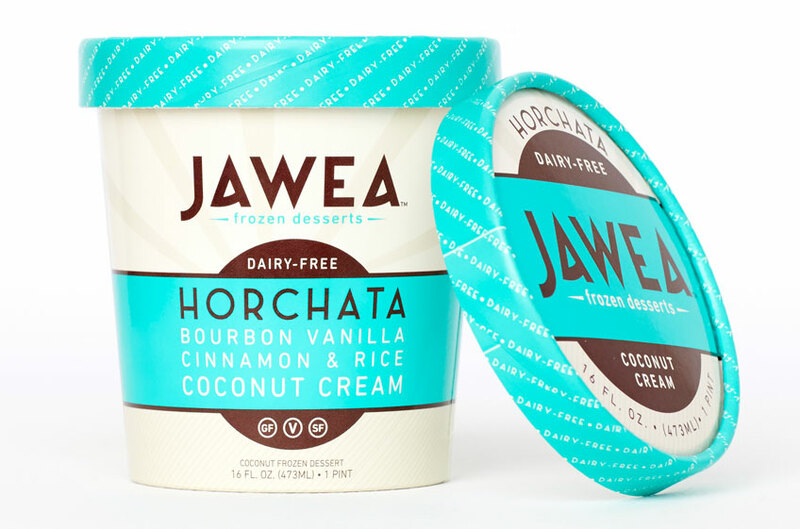 But prominent typographical positioning of Jawea’s Coconut Cream base ingredient and its GMO-free, gluten-free, soy-free, dairy-free, and vegan formulation quickly distinguished it upon the shelf. A range of bright hues supports the brand’s unusual flavor profiles, with color bands that stand out sharply against the containers’ icy-white backgrounds. A faint fan of radiating lines make a nod towards Rosenthal’s elevated approach to sourcing his products’ premium, all-natural ingredients. 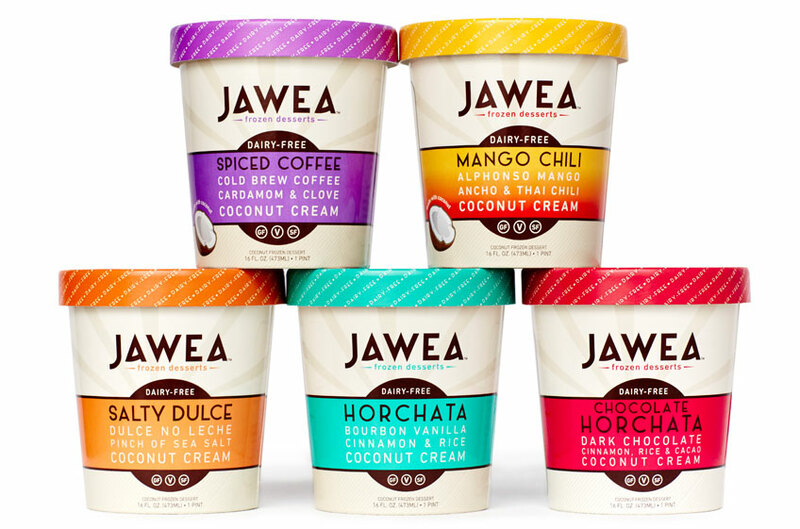 The container’s hierarchy of font sizes position flavor accents under the large signature font that reinforces Jawea’s contemporary feel and distinctive name. A website that mirrors package colors, copy, and graphics was built to reinforce the product’s shelf presence and serve as its social media hub. 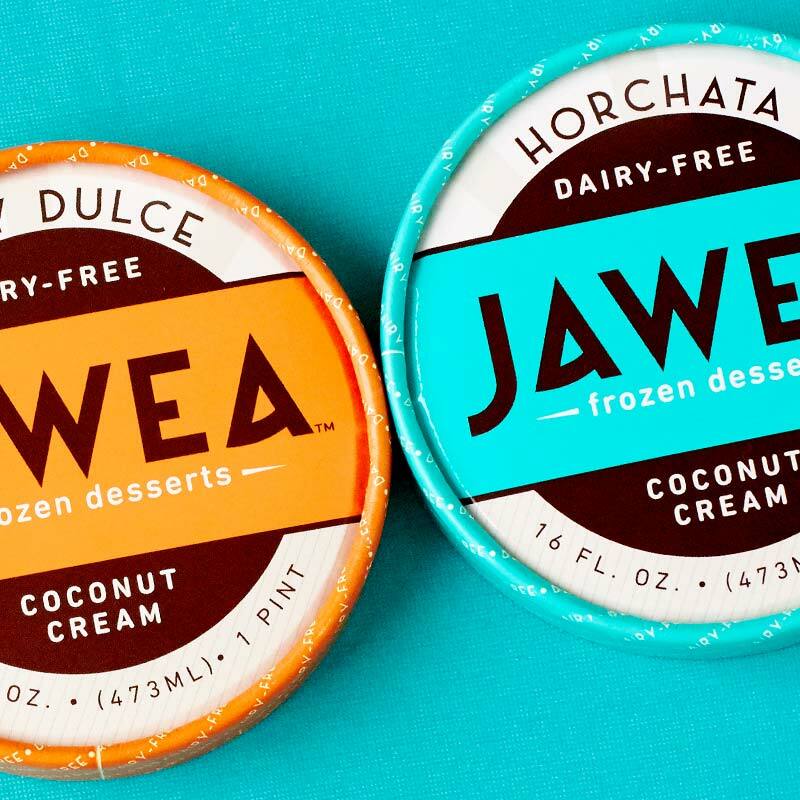 Recent reviews on the site’s press section cite raves for a flavor that any non-vegan ice cream would be proud to earn. 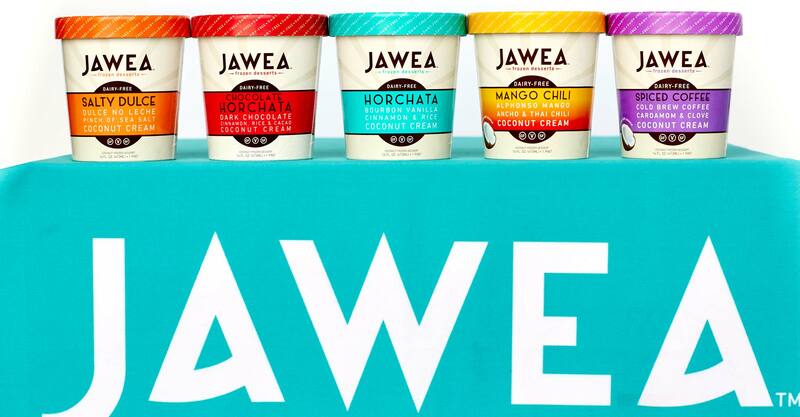 Those accolades point to a brand buzz that’s promises to put Jawea way-ahead of many of its pint-sized competitors.